Kozhakhmetov Assylbek is the founder and the resident of the first business school in Kazakhstan - Almaty School of Management, «Almaty Management University». Author of more than 60 publications on the development of management and education, published in local and foreign journals. Awarded by President of the Central - Asian Foundation for Management Development (CAMAN) 1994-2002; during 1999-2002 Member of the Board of the Union of Industrialists of Kazakhstan; member of the Forum of Entrepreneurs of Kazakhstan; in 1998-2003 Member of the Board of "INTERMAN", the World Organization for Management Development; from 1999-2002 Member of the European Organization for the quality of management education (EQUAL); in 2002-2003 Deputy Chairman of the Public Council for the Development of the Education System of Kazakhstan. Honorary Professor of the Academy of public administration under the President of the Kyrgyz Republic (2017). Specialization of analytics: the economic analysis of the Republic of Kazakhstan, the business analyst on key industries, trends of the international development of economy and their influence on economy of Kazakhstan. Specialization of management consulting: development of strategy of the company, forming of strategic objectives within MPP, performance management on KPI. Graduated from George C. Marshall Center - European Center for Security Studies (Geopolitics and safety issues), Institute of development of Kazakhstan (Almaty), Postgraduate study (Subject "Forming of International Marketing in the Republic of Kazakhstan"), Zhubanov Aktyubinsk State University (Economy and management). She passed training in universities of Europe, the USA, the CIS. She has 15-year work experience on managerial positions at the largest institutes of the country, in 2011 worked as the invited researcher of Stanford School of a state policy in Duke University. Several research projects were developed under the supervision of Gulmira Kurganbayeva: "Competitiveness of national economy", "Strategy of economic safety of the Republic of Kazakhstan", the Project of the National report on human development, etc. Author of more than 50 publications and monographs. 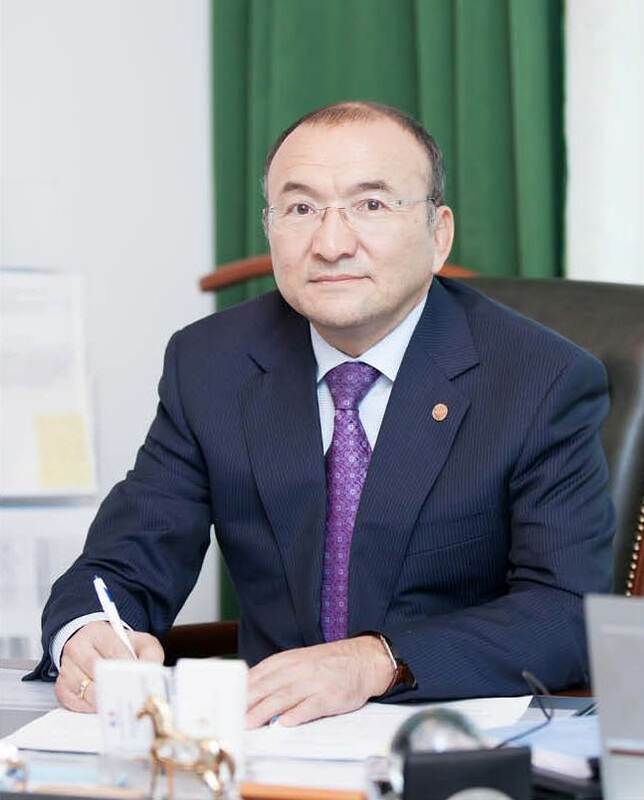 Graduate of philosophical economics department of Al-Farabi Kazakh National University, Doctor of Philosophy, and associate professor. In different years worked on administrative positions in the Kazakh Humanitarian Law University in Almaty, Astana: deputy director for educational work, the dean of the Faculty of Humanities, the pro-rector on educational work, dean of the faculty of law enforcement. In the International Academy of Business - the vice rector for science and development. 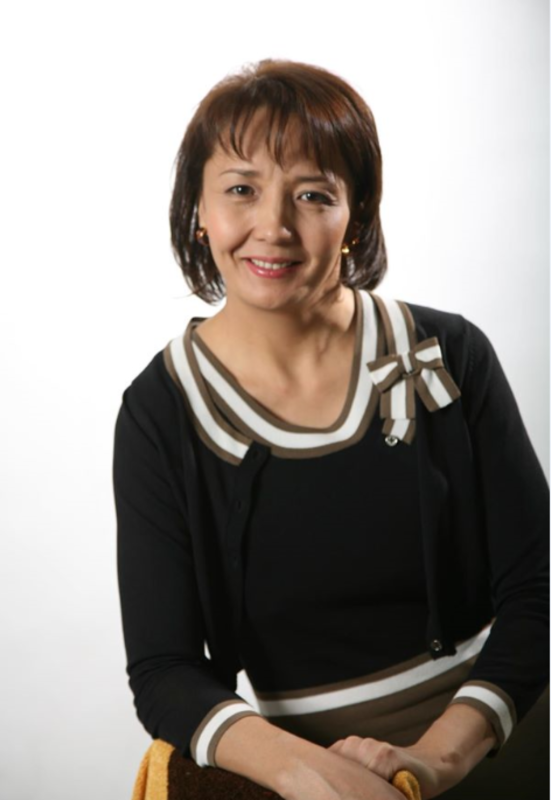 The director of human resources department in "Nazarbayev Intellectual Schools". Starting from the March 1, 2017 Rector of Almaty Management University. The author of 70 publications on youth policy, actual issues of cultural studies, philosophy of education. Author of study guide: "Philosophy", "Cultural Studies", the author of monographs: "The values of today's youth," "spiritual and moral culture of today's youth in Kazakhstan: the philosophical and cultural analysis." Author of experimental textbooks and sample programs for 12-year education, "Human. Law. State "," Adam Kogam.Kykyk "for 10, 11, 12 classes in Russian and Kazakh languages. A member of the editorial board of the international journal «International Journal of Business, Behavioral and Social Sciences». 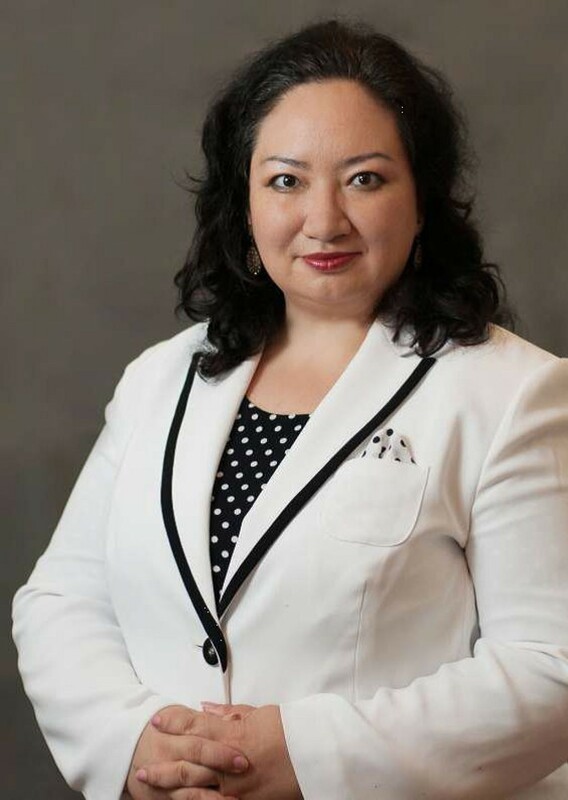 Member of Association of Business Women of Kazakhstan. The winner of the nomination – "The best teacher of Kazakhstan 2013". Graduate of the international program "Bolashak". Graduate of Skolkov school of Rectors 14 “Management of university transformation”, 2018. Awarded signs: Honored Worker of Education of the Republic of Kazakhstan "," Honored worker of Kazakh Humanitarian Law University”, “Galymdy damytuga sinirgen enbegi ushin”. Kozhakhmetov Ruslan is the holder of the Doctor of Business Administration degree of the joint program of the International Academy of Business and the Russian Academy of national Economy under the Government of the Russian Federation. He is also a graduate of the global Executive MBA program in business administration at London Business School, Columbia Business School, HKU Business School and Executive Education center at the University of California Berkeley. He has 16 years of work experience in managerial positions in private companies and own business. He is a member of the editorial Board of magazine “Problem as aspiration” of the York Institute for enterprise development (Toronto, Canada). Author of articles on family business and education. Graduate of Friedrich – Schiller University, Jena. Has triple master’s degree in education science, psycology and sociology. Christian has PhD in philosophy. 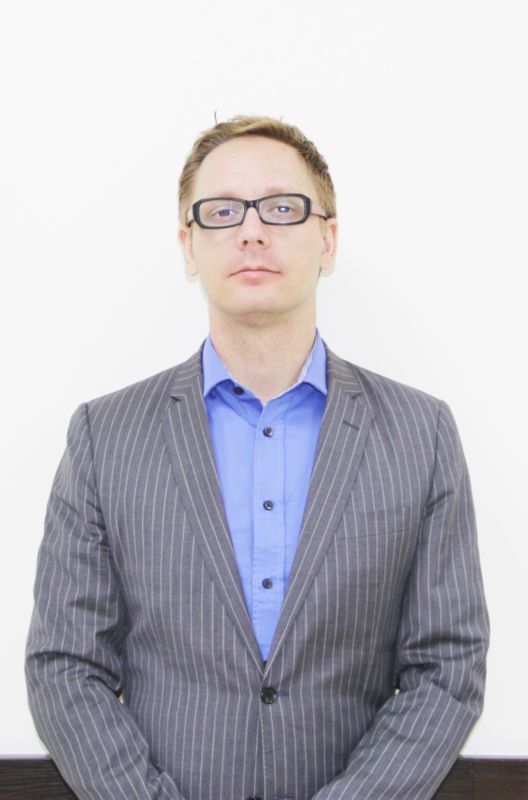 Christian Kahl has more than 10 years of work experience in educational institutions. He worked at different universities such as Friedrich-Schiller-Universität, Jena (Germany), Essex University, Colchester (UK), Tong Ji University, Shanghai (China), Les Roche Jin Jiang, Shanghai (China), Taylor’s University, Kuala Lumpur (Malaysia) as a lecturer, researcher, education manager, project manager, etc. Kahl has numerous publications such as journal articles, conference proceedings and book reviews.